A custom view can be created from by opening the custom view editor, which can be accessed through the main ‘View’ menu on the database search page(see above). This opens the dialog box shown below. 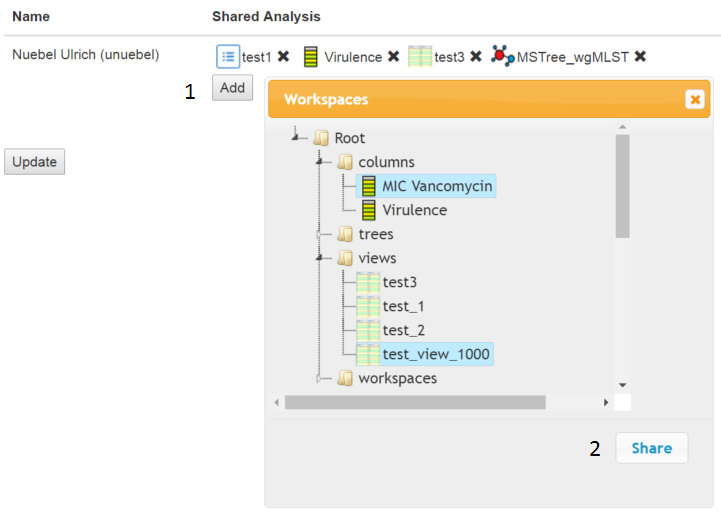 Initially the Custom View label on the upper right will show New and no columns will be present on the right hand side. 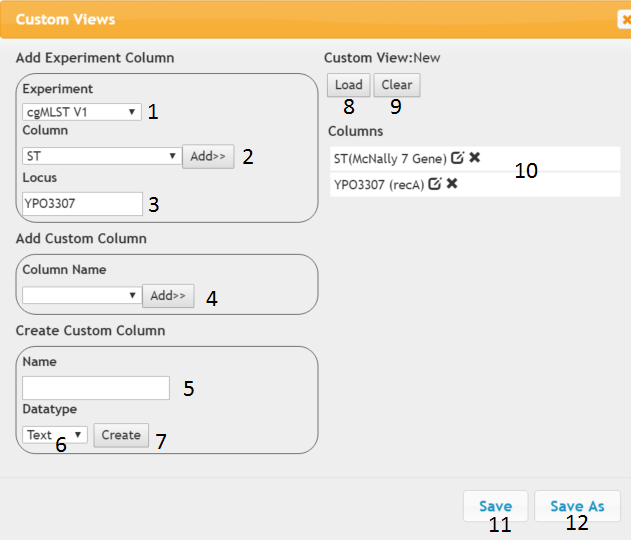 From the Experiment drop down (1) choose the Experiment/Schemes whose column you want to add, then you can select the column in the drop down below (2) and press Add. The name of the column should appear in the right hand panel (10). 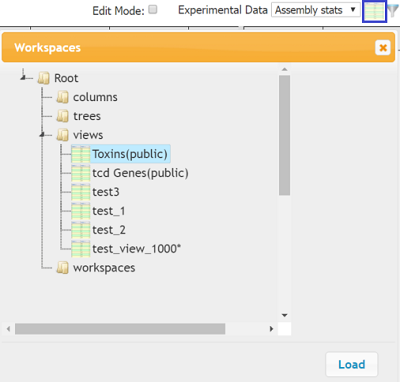 The default name of the column is the name of the scheme/experiment(column name) although you can edit this by clicking on the pencil icon next to the label. If the Experiment is a scheme then the Locus text box will become enabled. When you start typing the name of the locus tag or gene name, a drop down should appear with suggestions, clicking on one of these will add the locus to the list of columns on the right. Any UDFs you have previously specified or are publicly accessible will appear in the ‘Add Custom Column’ box in the ‘Column Name’ dropdown (4) and can be added to the view with the ‘Add’ button. 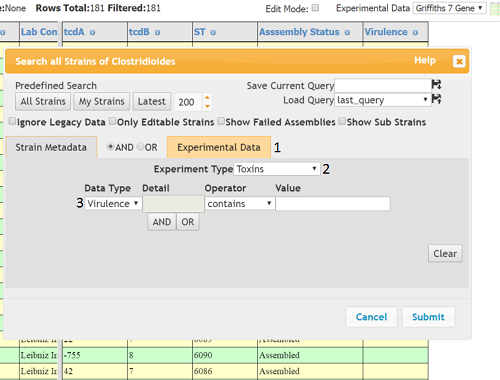 Searches on any user added columns for a custom view can be performed in the normal way in the Experiment Tab (1) of the main Query Dialog by selecting the name of the view from the ‘Experiment Type’ dropdown (2). Any user defined (custom) columns can then be searched by selecting them in the ‘Data Type’ dropdown. Data can be added to custom columns in the view by simply clicking on the cell (make sure you are in edit mode). To edit a column you either need to be the owner of the column or have access to the column by another user sharing it with you. Data can also be uploaded using a tab delimited text file e.g.